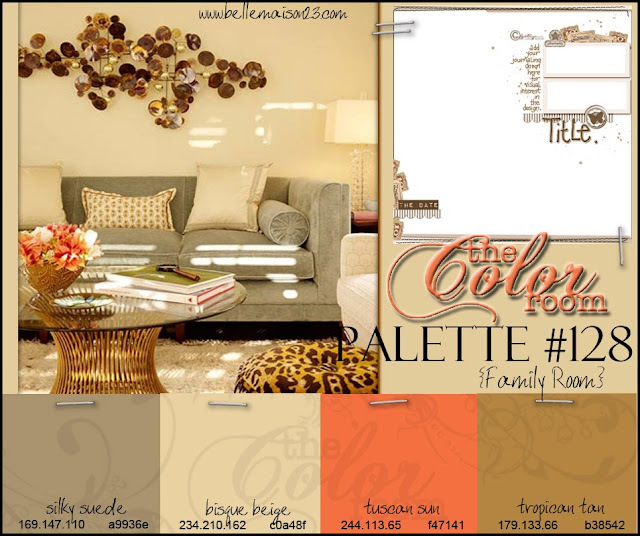 This weeks TCR palette # 128 is a luscious array of warm orange and mustard tones. If your in North America its the perfect palette for Autumn projects but for me this palette screams summer with all those beautiful fiery hues so became the perfect inspiration for a page featuring the one thing (husband aside) that warms my heart... master, Tige. I had a tonne of fun creating this page and used lots of digital brushes from my overly abundant cache. Creating with brushes is a fabulous way to add texture, bold shapes and typography to your projects. So... if you looking for some cool free brushes I highly recommend DeviantART. They cover a wide variety of categories constantly updating their collections and all created by some of the leading and up and coming young designers the digi world offers. You can also find some great brushes at Anna Aspnes Store over at Oscraps, but be warned you will need two carts after you see all her beautiful digi products and I can almost guarantee you'll fill them :)). So here is my digi page with lots of misting, masking and layering. 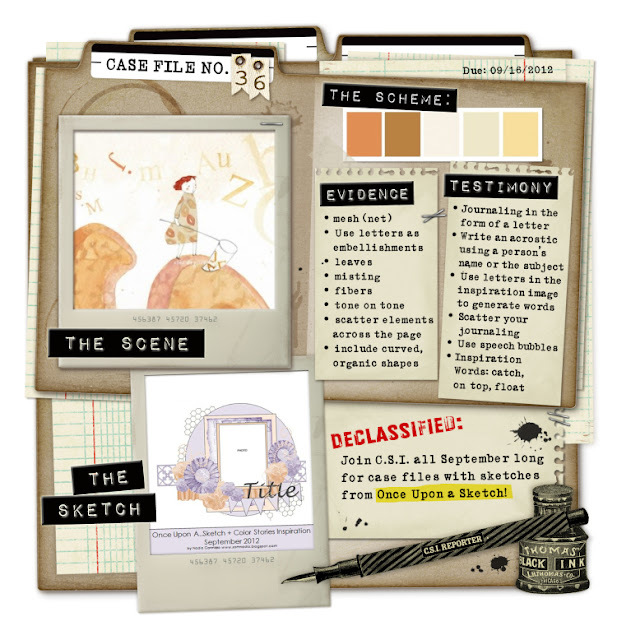 ...and I figured since the colours are so similar to this weeks casefile over at C.S.I I thought I'd sub it there too. Heres the current casefile #36. Thanks for stopping by and I hope you'll pop by again soon! love the eclectic feel to this one Emma...and your new look blog is to die for! Love your layout. Everything just fits so well together. GREAT! Fabulous! Love the design and wonderful use of the colors! Stunning work as always Em!! So sad to see u go. I wish u all the best!, keep in touch! !